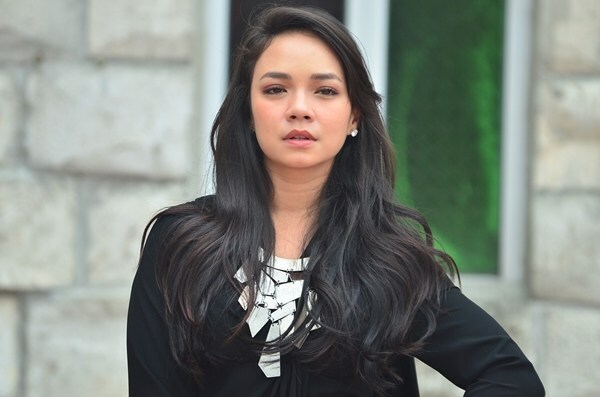 Popular local actress Nora Danish has responded to the matter. In a report by Malay daily Utusan Malaysia yesterday, 7 November, popular actress Nora Danish said that she hoped the Inland Revenue Board (LHDN) would consider her proposal since many local celebrities rely heavily on their appearance and personality for their public appearance. "For me, as Malaysians, it is our responsibility [to pay taxes]. But what I hope is for a little exemption for celebrities like us," she was quoted as saying. "It is just that, in the current times we are paying a lot for our appearances. So, this is part of our career and perhaps it can be counted as our occupational cost." Her remarks came after actress Rozita Che Wan, popularly known as Che Ta, was recently barred from travelling to London for her daughter's birthday celebration after she failed to settle her tax arrears. 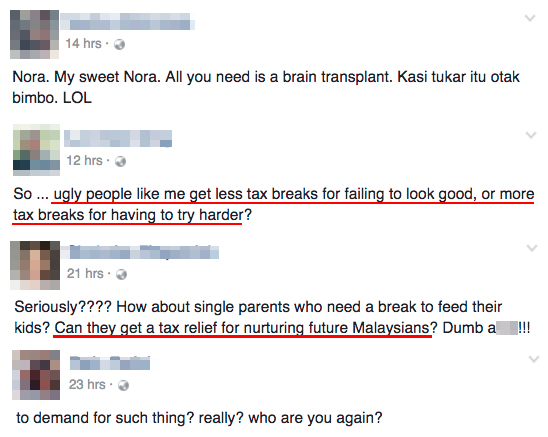 Netizens have since been criticising the model-turned-entrepreneur for making such a "demand"
"Regarding the LHDN issue, I still got slammed even when I did nothing wrong. This must be because somebody twisted Nora's delivery," a post on her official Instagram account read. "That’s fine, I am on my way back to Malaysia, Nora will check who sensationalised the news." "Many still do not understand the differences between relief and waiver. The form for artistes is also different from other tax forms. There is, in fact, a category for 'appearance'. What I meant was for the percentage to be increased," she explained in her Instagram post today, 8 November. "I have the right to speak on behalf of other celebrities, and you also have the right to speak as a citizen of Malaysia. Why should I be blamed on this tax issue? Why do people call me stupid?" she said, adding that the public should first check their level of understanding about this issue. She also said she has been paying her taxes and everyone else should also pay their taxes - no exceptions - as long as their income level exceeds RM3,000 a month. 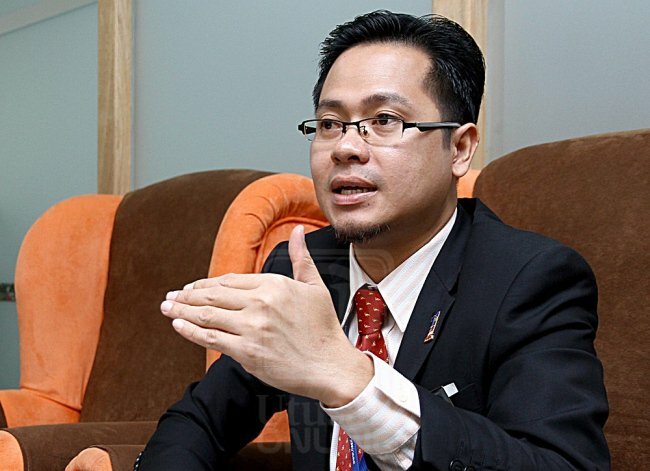 LHDN's Customer Care Officer Masrun Maslim told Malay Mail Online’s sister publication ProjekMMO that there has always been 'appearance cost' tax cuts for artistes. According to the spokesperson, the government provides deduction for celebrities’ makeup and clothing rental expenditure, as well as other costs such as management and advertising. "For this type of expenditure, there is no specific allocation or amount fixed. It is up to the actual spending for each artist," he was quoted as saying. He explained that the artist must submit the Form B every year in order to claim the operating expenses. "They need to keep all supporting documents such as invoices (including makeup purchase), makeup artist and management payment vouchers, purchase receipts and others," he added. Do you think the special tax exemptions for artistes should be increased? Let us know your thoughts in the comments section below. 707,304 Malaysians Are Barred From Travelling. Check To Make Sure You’re Not One Of Them! Nearly half of them are people that have failed to settle their outstanding PTPTN loans.